Climbing down from Johannesburg's highways and exploring Egoli on foot is not your normal city tour. 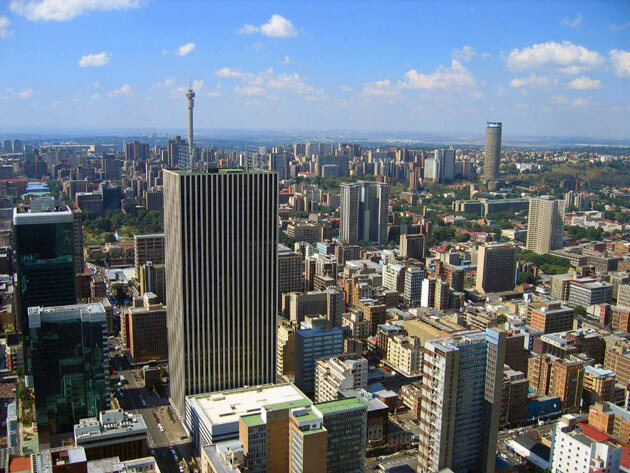 We began our walking tour in the heart of downtown Johannesburg in the tallest building on the African continent. The Carlton Centre, which has an enclosed viewing deck on the 50th floor, is the perfect setting to set off on a discover of the history of this vibrant city. Mandela-Gandhi tours and Joburg inner city walks. Walking tours through downtown Johannesburg, or dial up a number and conduct your own cellphone tour of Mandela Square, the Johannesburg Stock Exchange and surrounds.